I have come to realize that trying to create a perfect likeness of the original Godzilla is very hard to do. This quick painting was, in my opinion, my first best attempt. 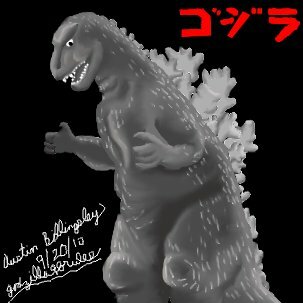 NOTE: The Japanese letters at the top is the official lettering of "Gojira" or "Godzilla."